The University of Kent is delighted to offer International Scholarships for Taught Masters Students worth £5000 towards the cost of tuition fees and are offered to nationals of any country paying overseas fees. 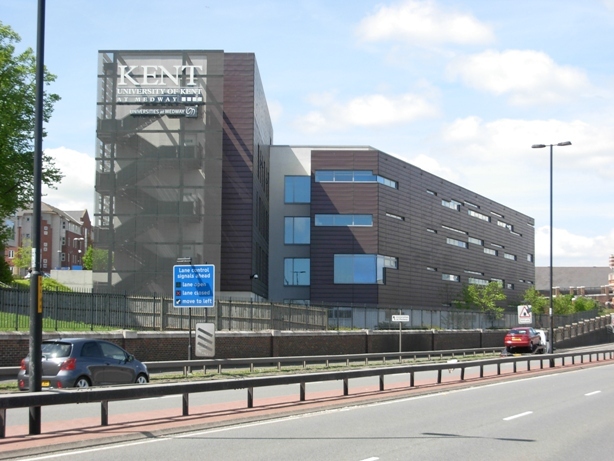 The University of Kent is a public research university based in Kent, United Kingdom. It was founded in 1965 and is recognized as a plate glass university.Students whose first language is not English, and who live/study in a non-majority English-speaking country are required to have an appropriate grade/score on an approved English language examination. Scholarship Award: The scholarships are worth £5000 towards the cost of tuition fees and are offered to nationals of any country paying overseas fees. An application must have been made for a taught degree course at the University of Kent (any location of study is permissible), beginning in September. The applicant must have received an unconditional offer of a place on such a degree course. The University must have received confirmation of the applicant’s acceptance of the unconditional offer. English Language Requirements: Students whose first language is not English, and who live/study in a non-majority English-speaking country are required to have an appropriate grade/score on an approved English language examination. How to Apply: Applications for the International Scholarship must be made via your applicant portal. Once logged in, click on My Scholarships and Bursaries. You will then see a list of scholarships that you may be eligible to apply for. You will be able to apply for the International Scholarship once you have received an offer. Click on Apply and follow the steps to submit your application. As part of your application, you will need to upload an essay, which should be submitted as either a Word or PDF document. For this essay, please write no more than 750 words on a topic about which you are passionate and which is relevant to your selected degree programme.